We Americans live in “a present-tense society,” the late Christopher Hitchens observed. Hitchens was wrong about a great deal, but he got this right. And the “historylessness” that Hitchens found in contemporary America is far from new. We are “the great nation of futurity,” journalist John L. Sullivan proclaimed one hundred seventy years ago. “Our national birth was the beginning of a new history,” the editor of the Democratic Review explained to his readers. It “separates us from the past and connects us with the future only.” In sum, we Americans are “stranded in the present”—to borrow Margaret Bendroth’s haunting phrase—and we like it that way. An exception is a piece in the Atlantic by education writer Jacoba Urist. I don’t agree with its every detail, but I admire the article for its balance. I also appreciate that the author refrains from cheap criticism and has chosen instead to identify key questions for us to wrestle with—complex questions that don’t admit of easy answers. One of those questions, to quote Urist, is “How should students learn about oppression and exploitation alongside the great achievements of their country?” It’s a great question. With apologies to the Washington Post, I’ve yet to come across a critic of the AP guidelines who advocates eliminating from the classroom all the parts “of our history that might be uncomfortable, unflattering or even shameful.” As I understand Fisher and his supporters, their concern is that the AP guidelines overstate the negative and understate the positive, that they place too much emphasis on our flaws and not enough on our virtues. I don’t know that I agree with them, but there is no point in misstating their objection. Caricature isn’t the same as logical argument. Defenders of the AP guidelines stress that their primary goal is not to fill students’ heads with names and dates but to train them to think historically, to teach them how to think critically about all interpretations of the past. 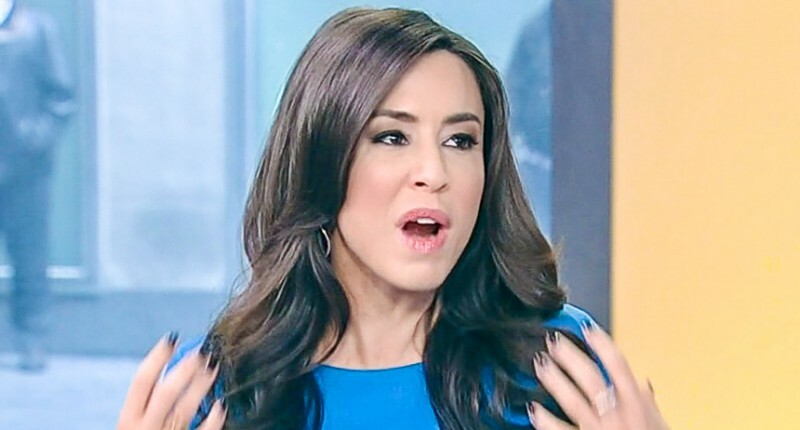 Far from attacking America, they maintain that they are equipping students to be better citizens of a free society by giving them the tools to evaluate arguments in the public square and make informed decisions grounded in evidence. I agree with these goals. But history courses are never just exercises in thinking skills. Almost instinctively, our minds search for a story when we engage the past, and a moral to the story to boot. It is possible to teach American history as a story without a plot, as an endless stream of meaningless facts with no larger meaning. But if history is more than a parade of facts—and every historian that I know thinks that it is—then it is not wrong for Rep. Fisher to ask what kind of story it is that the AP curriculum promotes. So the hard question remains: how do we find the “right” balance between criticism and celebration in the story that we tell about our nation’s past? I don’t know. I am pretty sure that it would be disastrous to stipulate some sort of formula to follow. For readers of this blog who are Christians, however, may I share how my faith informs how I approach the question, at least at this point of my journey? First of all, I absolutely reject the false dichotomy lurking in the current debate that pits patriotism against an honest acknowledgement of America’s failures and flaws. As a Christian, my primary identity should be in Christ, not in my nationality; my primary loyalty should be to Christ, not to my country. Called as I am to “be subject to the governing authorities” and to “love my neighbor as myself,” I must strive to be a blessing to the multiple concentric communities of which I am a part. This will lead naturally to a kind of commitment to my country. And to the degree that God has blessed me through the resources, institutions, and people of the United States, this will also lead to a gratitude for my country. Finally, this solicitude and thankfulness for my country will look a lot like what others call “patriotism.” But underlying it will be not a devotion to the United States as an end in itself, but an expression of more fundamental demonstrations of love of neighbor and gratitude to God. Here an observation of G. K. Chesterton resonates with me powerfully as I think about my approach to our nation’s history. “Love is not blind,” Chesterton wrote in his 1908 work Orthodoxy. “That is the last thing it is. Love is bound; and the more it is bound the less it is blind.” In sum, we should never think that our love of country constrains us to minimize its faults, nor should we accept the suggestion that criticism of our country—either in the present or in the past—is somehow unloving or “unpatriotic.” Because love binds rather than blinds, we may criticize our country without sinning against it. Second, as a Christian, my faith teaches me to expect that, whatever part of the human story I am studying, I will inevitably encounter aspects that are worthy of praise and others that are worthy of censure. Original sin has left its mark on everything that historians investigate: all nations and all historical eras. We study beings created in the image of God and disfigured by sin. We find always a mixture of the base and the noble, the dust of earth and the breath of God. I am not suggesting for a moment that all cultures are somehow morally equivalent—not remotely!—but I am suggesting that history that glosses over the imperfections of any group or individual is, to a greater or lesser degree, misrepresenting the human condition. But if American history—like all national stories—has some combination of admirable and regrettable components, do we really need to call attention to both? What is lost by choosing to stress only the more positive aspects of our history? Why not focus solely on the aspects that inspire, encourage, and uplift? I wasn’t prepared for his question, and I know that I stumbled in my reply. If we could repeat that conversation today I would offer three reasons why a more balanced approach is preferable. The first is a simple commitment to honesty. 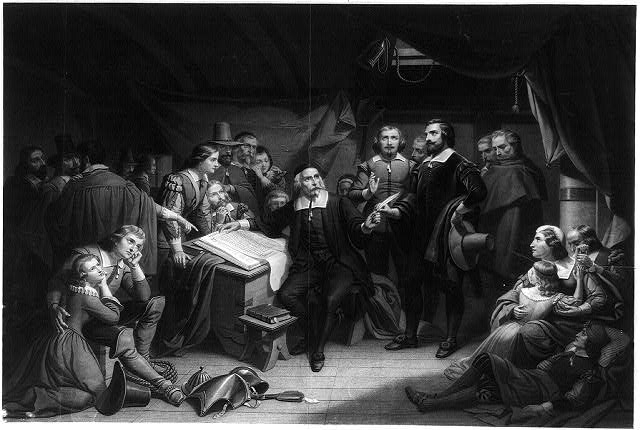 As Christian scholar Ronald Wells points out, honest history “means more than merely telling the truth in factual terms but also telling the truth in all its complexity and ambiguity.” Second, in acknowledging the imperfections in America’s past, we’re also conveying a more accurate representation of human nature. History that glosses over human weaknesses and shortcomings is not just inaccurate. It teaches bad theology, leaving no room for the lingering effects of sin in the hearts of our forebears. Third and finally, when we make room for the moral failures in America’s past, we at the same time make greater room for the grace of God. The story of American power and prosperity becomes less a self-congratulatory celebration of our virtue and more of a testimony to God’s unmerited favor. The former hardens us, the latter humbles us. SHOULD ADVANCED PLACEMENT U. S. HISTORY BE BANNED? The Advanced Placement United States History test is back in the news again. That’s never good. As a society, pretty much the only time that we pay attention to American history is when it is used as ammunition in contemporary political debates. This instance is no exception. 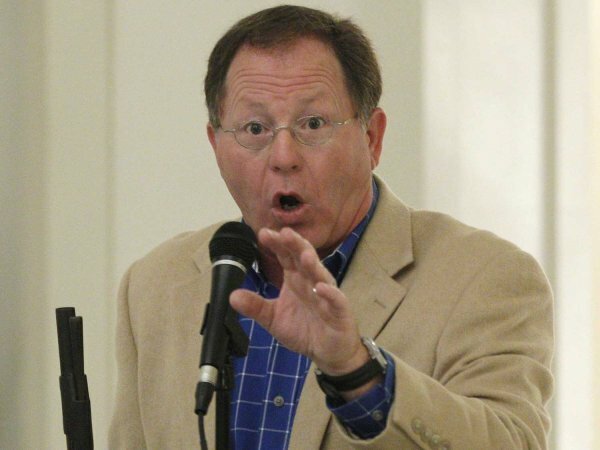 If you missed it, the breaking news two days ago out of the Sooner State was that a committee of the Oklahoma legislature had recommended a bill that would effectively eliminate the teaching of A.P. U. S. history across the state. Sponsored by Republican representative Dan Fisher, the proposed measure would eliminate funding for AP courses operating under curricular guidelines recently redesigned by the College Board. Beyond telling Oklahoma educators what they can’t teach, the bill also stipulates in considerable detail what they must teach. To counter the damage that this anti-American approach would inflict, Fisher proposed a two-pronged solution. First, effectively ban A.P. courses in Oklahoma until the College Board revokes its new guidelines. Second, require that all U. S. history courses taught in the state give proper attention to historical documents “that contributed to the representative form of limited government, the free-market economic system and American exceptionalism.” The nine-page bill that Fisher introduced last month goes on to list in considerable detail the specific documents that every U. S. history course in Oklahoma would have to teach at an age-appropriate level. Setting aside for the moment the wisdom of legally imposing such a list, what would you include in your own list of essential documents from American History? Fisher begins with several broad but ambiguous categories of documents that every U. S. history course in the state “shall include as part of the primary instruction.” These include “organic documents from the pre-Colonial, Colonial, Revolutionary, Federalist, and post-Federalist eras”—we can only guess what he has in mind here—as well as “the writings, speeches, documents, and proclamations of the Founders and Presidents of the United States” (which ones? all of them? ), United States Supreme Court decisions, acts of the United States Congress, and U. S. treaties. Whew! I’m not a legal expert, but surely such sweeping specifications are worse than useless. Fisher then follows with a list of fifty-one other individual documents that would become required reading in the state’s history courses. These include such foundational documents as the Mayflower Compact, the Declaration of Independence, the “Constitution and its amendments,” and the Bill of Rights (which Fisher apparently doesn’t recognize as a subset of the Constitution’s amendments). Among white male voices (a category top-heavy with American presidents), there are single documents by John Winthrop, Jonathan Edwards, Thomas Paine, Patrick Henry, George Washington, James Madison, James Monroe, Alexis de Tocqueville, Frederick Jackson Turner, Andrew Carnegie, William Jennings Bryan, Woodrow Wilson, John Steinbeck, George F. Kennan, Harry Truman, and George W. Bush. There are two documents each from Theodore Roosevelt, Dwight Eisenhower, John Kennedy, and Lyndon Johnson. Three past presidents merit three selections each: Abraham Lincoln, Franklin Roosevelt, and Ronald Reagan. Finally, Fisher’s list includes nine required documents that reflect the perspectives of women or people of color: one each from Abigail Adams, Elizabeth Cady Stanton, Frederick Douglass, Chief Joseph, Emma Lazarus, Booker T. Washington, and Malcom X, as well as two documents from Martin Luther King Jr. If you’re keeping score at home, that’s Dead White Males: 42, Women and People of Color: 9. Actually, I am being somewhat facetious as I write this. I cringe when such debates boil down to counting the number of references to various gender and racial categories. The question is never purely one of arithmetic. And yet when critics of Fisher’s measure suggest that he represents a view of American history uninterested in acknowledging the diversity that has always characterized our past, let’s be honest: Fisher has given them more than enough to go on. This week Fisher’s bill was approved in the state’s education committee, with all eleven Republican members present voting in support and all four Democrats voting against. Whether it has any chance of passing when and if it comes to a vote by the entire (lopsidedly-Republican) legislature is anybody’s guess. Its passage in committee has brought down a storm of criticism in the media, and if yesterday’s report in the Tulsa World is correct, Fisher appears to be backtracking in part, stressing that he is “very supportive of the AP program” and promising to “fix the bill” to eliminate ambiguous wording. In sum, this may blow over quickly. First: The new guidelines aren’t perfect, in my opinion, but neither are they awful. I’ve never been a huge fan of the whole AP project, and I simply don’t believe that most high-school AP courses are equivalent in sophistication and rigor to the supposedly corresponding courses I have taught for the past quarter century at the University of Washington and Wheaton College, so I resist labeling what goes on there as “college-level” work. Having said that, last fall I sat down and took a sample test made available by the College Board, and I walked away more impressed than I thought I might be. I’m still not keen about granting college credit for such courses, but if my son or daughter were enrolled in a public high school right now, I can imagine that they would benefit from such a course. I would add that, as a political conservative myself, I discerned very little of the anti-American bias that Fisher and his Oklahoma legislative colleagues believe is rampant. With almost perfect symmetry, critics of Fisher’s bill have attacked the character of its proponents. In an editorial for CNN.com, columnist John Sutter condemned the Oklahoma education committee for advocating a whitewashed version of the nation’s past that “flies arrogantly in the face of history.” Fisher’s bill is a “partisan” distraction that diverts the state’s attention from its many real problems, Sutter writes, for example its stubborn prohibition of gay marriage. Boiled down, both sides trumpet their own zeal for truth, both congratulate themselves for their integrity, and both insist that the other side has a monopoly on partisan motivations. Hmm. This is just the most recent illustration of the utter uselessness of “revisionist” as a meaningful label. Technically, according to the Oxford English Dictionary, the term is supposed to describe “a person who questions or revises a previously accepted version of historical phenomena or events.” Today, for all practical purposes, Americans apply it to “any one who remembers the past differently than I do.” “Revisionists” lurk everywhere. Evangelicals see them in the secular Academy. President George W. Bush found them among Democratic critics of the Iraq War. “Tea Party” supporters smell revisionism among moderate Republicans. Atheists berate Christian revisionists. Liberal bloggers hang the tag on Glenn Beck and Sarah Palin. NBC Sports applies the label to New York Giants quarterback Eli Manning. (Seriously.) In popular parlance, the term is useless. Finally: The whole idea of trying to prescribe by law the subject matter of U. S. history classrooms is appallingly misguided. To begin with, the measure would establish a frightful precedent. As I remind my students, whenever we are trying to decide about the wisdom of a proposed law, it is always best to imagine ourselves as part of the political minority. Before granting a new power to any level of government, in other words, it is always a good idea to imagine how we would feel to have that power wielded against us. If we should find such an outcome insufferable, then we have no business supporting the law. Otherwise, we are effectively saying that we are willing to impose a power on others that we would be unwilling to submit to ourselves. 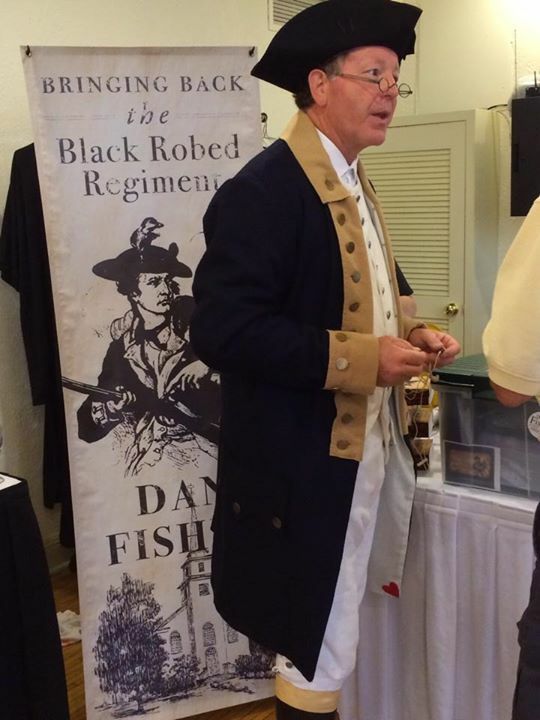 In the case of the proposed legislation, Fisher is establishing a precedent by which a future legislature might lawfully mandate a history curriculum that would promote the very view of the American past he is trying to combat. Beyond this, it is foolish to think that mandating the teaching of a particular document guarantees the promotion of a particular reading of American history or the affirmation of a particular political or social value. Interpretation is always an integral part of the teaching of history. Historical facts never speak for themselves. Historical documents rarely admit of only one possible interpretation. To give but one example, the Declaration of Independence can be taught as a bright and shining pronouncement of an egalitarian ideal or as the hypocritical rhetoric of a Virginia planter who railed against tyranny while owning 150 slaves. Simply put, Representative Fisher’s list cannot ensure the teaching of the interpretation of American History that he believes is correct. That can only be done by firing all of the state’s educators who disagree with his interpretation. Until he’s willing to destroy academic freedom in the name of American exceptionalism, his goal is beyond reach. In truth, I suspect that most of the individuals on both sides of this debate want the same thing. Most, I am convinced, believe that history education can play a vital role in strengthening and sustaining our democracy. Where they disagree is how best to promote that end. What skills, knowledge, values, and beliefs are essential to a flourishing free society? The history classroom is actually a wonderful venue for wrestling with those questions. Just don’t let the politicians determine the answers. The second group thinks of history as a form of entertainment. This is the audience that the so-called History Channel targets with documentaries on Bigfoot, “Ghosts in the White House,” and “Ancient Aliens.” Pawn Stars, anyone? Ice Road Truckers? Let me know if you can figure out what these programs are doing on the History Channel. 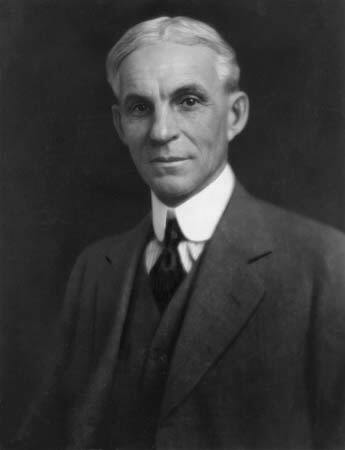 If forced to choose, I’ll take Henry Ford over the History Channel any day—it’s better to dismiss history entirely than to trivialize it so grotesquely. The third group believes that history is important but for the wrong reasons. Some of the attitudes in this category are innocent enough. Here I have in mind those who look to the past as a stockpile of simple lessons. I can never think of this group without calling to mind one of my favorite movies, The Princess Bride. If you know the movie, then you know that the villain Vizzini is a perfect example of someone who treasures the past in this way. After he and the Dread Pirate Roberts agree to a battle of wits to the death, Vizzini ridicules his masked opponent for ignoring one of the “classic blunders” of history. The most well known is “never get involved in a land war in Asia,” but the second is “never go in against a Sicilian when death is on the line.” Spoiler alert: it’s right after this that the Sicilian Vizzini keels over dead. The unwitting inspiration for the “lessons-of-history” group is Georges Santayana, a resolutely atheist Spanish-born philosopher who famously wrote that “those who do not remember the past are condemned to repeat it.” The quote is buried in a 1905 philosophical treatise titled The Life of Reason, and for the life of me I cannot figure out how Santayana’s dictum came to be so popular. What I do know is that we take the quote entirely out of context and force it to mean something that Santayana didn’t remotely have in mind. The philosopher was making an observation about the nature of knowledge—as philosophers like to do—while we have turned it into an axiom about the value of history. Santayana meant merely that the acquisition of knowledge is incremental, which means that memory is essential to learning. Well duh. We have transformed this truism practically into an assertion that history is cyclical and historical patterns are unchanging. 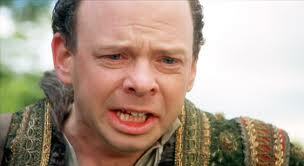 By studying patterns from the past, we tell ourselves, we can, like Vizzini, discern laws to guide our future. 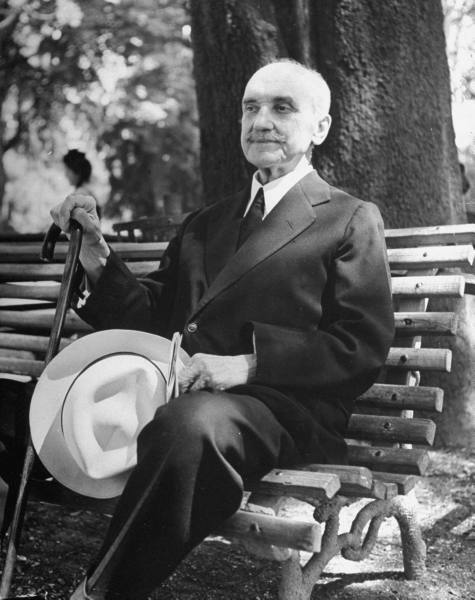 Given how ubiquitous it is, it may surprise you to learn that almost no professional historian would agree with Santayana’s statement as it is popularly (mis)understood. In The Landscape of History, for example, Yale historian John Lewis Gaddis dismisses the claim as “fatuous.” In her book Dangerous Games: The Uses and Abuses of History, British historian Margaret Macmillan describes Santayana’s pronouncement as “one of those overused dicta politicians and others offer up when they want to sound profound.” At bottom, academic historians take for granted that human behavior is far too complex to be reduced to such a formulaic or mechanistic basis as “condemned to repeat it” seems to imply. We need a better justification of the study of history than either Santayana or Vizzini can supply. Toward that end, I introduce a series of metaphors to stimulate our thinking about history’s potential value. In the interest of time, I’ll share just two. First, the study of history can serve as a mirror—helping us to see who we are. In Romans 12:2, the apostle Paul warns us against being conformed to the values of the world. Unfortunately, many of the cultural values that influence us deeply become invisible to us. We see them as “natural,” and what we see as natural we eventually cease to see at all. One of the great benefits of studying history is its potential to remind us that the way things are now is not the way they have always been. It can be a lot like traveling to a foreign country, except that we are traveling across time instead of space. Our historical travels can help us become self-conscious of our values in a way that we have not been; they literally become more visible than before. Thus the study of history helps us to see both ourselves and our world with new clarity, and it is only when we are really see the values that shape us that we can effectively resist the world’s efforts to squeeze us into its mold. Second, the study of history can function as a grand dialogue across the ages, a “conversation with the dead about what we should value and how we should live,” to quote historian David Harlan. When we embrace this dimension of history, we approach the past in a posture of humility. Rejecting what C. S. Lewis called “chronological snobbery,” we open ourselves to the possibility that those who have gone before us weren’t all idiots. We listen to them. We allow them to ask us hard questions, maybe even to speak truth into our lives. The idea of history as conversation also invites us to show love to the poor and the powerless, drawing into the conversation voices and perspectives that are easily marginalized or ignored, both now and in the past. In sum, history has the potential to help us to see more clearly who we are, and to think more clearly about who we should be. Its value is not utilitarian, but moral. It helps us, not to predict the future, but to meet the future more humanely. So let’s play a history game. If you were going to teach a course on the American Revolution, what would be your starting point? There are arguments for each of the above. You might argue for (a) on the grounds that colonial resistance to British authority did not become an official struggle for independence until the Declaration of Independence of that year. You might opt for (b) by reasoning that the real line of no return leading to revolution was crossed in 1775 when “the shot heard round the world” rang out on Lexington Green. You might choose (c), figuring that the chain of events that ultimately culminated in revolution was triggered by a change in England’s policy toward her American colonies in the aftermath of the Seven Years’ War. Or you might advocate for (d) on the basis that the Albany Plan of Union of that year marked the first halting expression of intercolonial cooperation and was thus a foreshadowing of the revolution to come. Which would you choose? Historical knowledge is most valuable, Butterfield maintained, when it is “transmuted into a deeper wisdom that melts into the rest of experience and is incorporated in the fabric of the mind itself.” The goal is not to master a bunch of historical facts–although they do come in handy for Jeopardy or Trivial Pursuit. The goal is wisdom: transforming insight that changes how we see the world. We’ll never achieve that with a Sergeant Joe Friday “just the facts, ma’am” approach to the past. I want my students to approach the American Revolution (1) thinking about their thinking, (2) scrutinizing their hearts, and (3) and expecting transformation. Each is essential. I’ll share some thoughts about the first of these goals in this post, and take up the second and third goals next time we talk. With all three practices in mind, I began my current course on the American Revolution with a two-week unit titled “What We’re Doing and Why.” We started with a pair of basic (but hardly simple) questions aimed at helping them to practice metacognition, i.,e., to think about their thinking. “What is history?” we asked, and “What is involved in thinking historically?” We approached these questions from a number of angles, but I think my favorite point of entry involves a comparison to what I call the You Are There approach to the past. 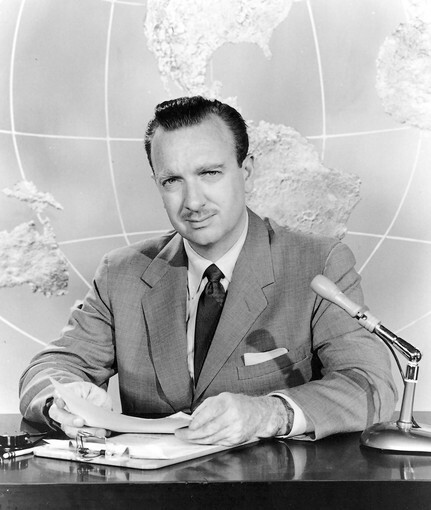 The program would begin with Cronkite introducing a crucial episode in history from his news desk, then shift to “live coverage” of the moment as real network correspondents “interviewed” key figures (like Julius Caesar, Abraham Lincoln, or Elizabeth Cady Stanton) and narrated events “as they unfolded.” Before “going live on location,” Cronkite would assure viewers, “Everything you see here was as it happened that day, except . . . [pause for dramatic effect] You Are There.” It was a clever premise, and, nerd that I was, I watched a bunch of episodes. Indeed, it’s but a slight exaggeration to trace my lifelong passion for history to those Saturday mornings with Uncle Walter. Mock me if you will, but the kind of history that most of us are drawn to has a lot in common with that TV show. They may be less hokey, but underneath the surface the history books that make the past “come alive” for us are the ones that we are drawn to, and as a general rule they follow the same basic strategy. Like You Are There, they seemingly transport us to another time, enabling us to observe the past directly and listen in as figures from the past speak for themselves. The good news is that we can learn a lot of history from such an approach, as I believe I did on those Saturday mornings long ago. The bad news is that we don’t learn a single iota about thinking historically. For all its attractions, history of the You Are There variety discourages us from distinguishing between (1) what actually happened in the past, (2) our understanding of what actually happened, and (3) the art of reconstructing what actually happened. At bottom, it misleads us as to what history is and what historians do, and it’s the features that we like most about it that turn out to be the most pernicious. In the process of making the past “come alive,” the You Are There approach obscures the absolutely fundamental distinction between “the past,” on the one hand, and “history” on the other. The past is everything that has happened before us, what C. S. Lewis memorably likened to a “roaring cataract of billions upon billions” of individual moments. (Click here for my thoughts on Lewis’s marvelous metaphor.) History, in contrast, concerns subsequent human understanding of that awesome totality. The difference is immense. It brings to mind Walt Whitman’s famous dictum about the American Civil War. Having witnessed its carnage firsthand, the poet was certain that mere writers with pen and ink could never capture the conflict’s horrific human cost. Try though they might, he concluded, “The real war will never get in the books.” Whitman was right, but his insight applies more broadly than he realized. The real past never “gets in the books,” not completely and objectively, for the simple reason that the past itself is gone forever. Coming to grips with this truth is the first step to thinking historically. In like manner, history of the You Are There variety obscures the absolutely indispensable role of the historian, who becomes little more than a reporter “on location” telling us just what she sees. To say that the past is gone forever is not to say that it is wholly unknowable, but rather to underscore that the process of gaining historical knowledge is much more complicated than is commonly understood. Because we cannot observe the past directly, we must puzzle instead over vestiges of that vanished reality, traces that endure in what historians call “primary sources”: artifacts such as diaries and memoirs, newspapers and correspondence, legal records and census data, architecture and archaeological remains. Complicating our task is the reality that these echoes are always woefully incomplete. Whatever the topic that interests us, we never have all the relevant facts at our disposal; we work instead with a subset, often a miniscule proportion. What is more—tired clichés notwithstanding—those facts that remain never “speak for themselves.” They lie silent and inert until the historian breathes life into them, literally resurrects them, by fashioning them into a persuasive interpretation. Interpretation is at the very core of the historian’s task. This is why history, as a serious field of study, involves so much more than the mastery of discrete facts about the past. At its richest, history is both a branch of knowledge and an intellectual discipline that trains the mind in ways of thinking that enrich historical understanding. As we learn to think historically, we develop habits of mind that stick with us long after we’ve forgotten the forgettable facts that cram the pages of history texts. We search reflexively for patterns of change over time. We think critically about cause and effect. We’re aware of historical contingency and sensitive to context and complexity. We know that sound historical interpretations require a foundation of reliable evidence, and we practice the critical thinking skills that allow us to analyze historical sources effectively and evaluate their testimony wisely. So much for the discipline of historical thinking. But why should we study history at all? Why pay attention to the past in the ever-changing 21st century? Good question. We’ll talk about that next time. One of the great things about teaching at Wheaton College is that this kind of narrowness just won’t do. I have six colleagues in the History Department here, not forty-four, and we try to cover as much of the globe as we can. And so by necessity I am branching out, and this course on the American Revolution is a modest step in that direction. It’s been both rewarding and unsettling. The rewarding part is that I feel like a student again. (Sound corny, I know.) When I came to Wheaton five years ago, I knew just enough about the American Revolution to be dangerous. I’ve worked to change that, and by stealing the odd moment here and there during the school year, I’ve read a couple of dozen books on the topic. It’s been a blast.